There is an inherent misnomer about cancer prevalent in the world that needs to be corrected. Cancer is a disease of the body’s own cells developing a molecular flaw and then replicating out of control. For this, there is no cure. Not in the preventative sense that has led numerous foundations, organizations, and charities to generate billions of dollars over the years under the guise of finding ‘the cure’. An individual’s cancer can be cured, yes, but there will never be a drug or vaccine that could be administered to prevent cancer. Diseases, like the chicken pox or the flu, are foreign entities that enter the body and can be fought off, either by vaccine or the use and aid of medications. Other diseases can be fought off by the immune system, such as bacterial infections. Cancer is not an invasive substance. Cancer is our own cells gone rogue and then convincing our bodies that it belongs there. Because the immune system does not recognize cancerous cells as anything foreign, it will do little, if anything, to fight back. There is no cure to prevent this from happening. That isn’t to say there is no hope. Rather there needs to be a shift in focus, taken away from ‘finding the cure’ and placed on developing more efficient diagnostic testing. Pouring money into research to hit the bullseye at an ever-changing target isn’t the answer. The answer lies in finding these rogue cells, before the race against time begins. The development of better treatment options has grown, evolved, and advanced in the most remarkable and unforeseeable ways, over the last several decades. While some routes of treatment are still borderline-barbaric, for lack of a better option, new developments, especially immunotherapy, have provided hope for patients with even the most egregious forms of cancer. Their diagnosis isn’t necessarily a death sentence. The problem here being that funding for this type of research is inconsistent. Studies have shown that over the last decade, while public support and research progress remain strong, funding has not increased to compensate for the demands of a pricier financial landscape. The federal government has provided tremendous monetary support for research, but has yet to meet the same level of funding it provided before the last recession. Grants have helped to offset expenditures for many organizations, but the overall tight financial constraints have created challenges in sustaining clinical trials and retaining talented researchers. Additionally, the horrifying and fascinating reality is cancer cells have routinely found ways to evolve and survive many of the implemented therapies. This is because each type of cancer has a unique combination of genetic changes. As the cancer grows, these genetic changes will continue, making each subsequent cell different from its parent cell. Cells within the same tumor have even shown to have different genetic changes. This is one reason why cancers become more difficult to treat over time and also why one therapy regime that works for one patient may not necessarily work for another patient with the same diagnosis. This, of course, is spoken in broad stroke generalizations. There are numerous studies proving the success and survival rates of any combination of therapies, and new research is showing new treatment options to be even more promising. But why is the focus of defeating cancer on the backend, after it has already wreaked havoc on the life of the patient and the lives of the people around the patient? Why is research less focused on the frontend of the disease process and preventing it from developing beyond a few cells? CBCs, biopsies, colonoscopies, pap tests, and other tests are routinely used in conjunction with known statistics and demographics in screening patients for cancer. Current screening tests are predominantly accurate in the detection of tumors or blood- or bone marrow-based cancers but typically those cells number in the millions before being detected. The human body has trillions of cells and, of those cells, cancer starts in just one. 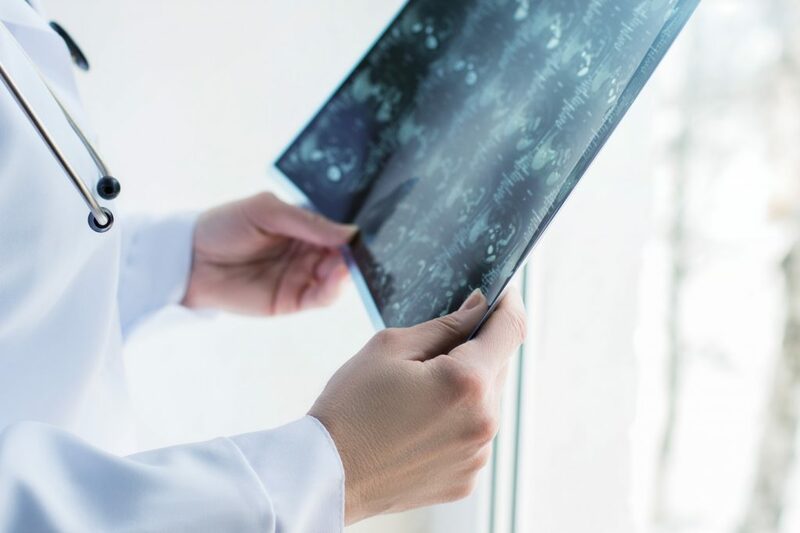 Understanding the nature of that one cancer cell, how it operates, and how it operates differently from normal cells, could help doctors not only detect the cancer earlier, but also help them refine their treatment to be the most efficient. For example, cells from tumors are known to release minute amounts of mutated DNA and abnormal proteins into the blood stream, not unlike normal cells. Researchers in Australia have used this information to develop a test that can detect one mutated fragment of DNA among 10,000 normal DNA fragments. Research from Johns Hopkins Kimmel Cancer Center, in conjunction with the National Cancer Institute, has supported these findings by developing a technique that detects specific mutated DNA sequences. Additionally, a study out of China has identified cancer cells carry sugar molecules on their surfaces that are not found on the surfaces of normal cells. These are characteristics of all tumor cells that, with additional research and test development, can be used to create a screening tool that will detect cancer even before symptoms arise. Not only will this be crucial in increasing the overall survival rate of many types of cancer, a blood analysis test in far less invasive and inherently less expensive than many of the currently used screening tests. The next step, as with any research study, is proven accuracy with redundancy and time. Much of this early detection research has been reported in the last twelve to eighteen months. Even with the promising accuracy of these tests on subjects within the study, the incidence of cancer developing in the test subjects, in comparison to the control groups, will have to be monitored over the next several years. Meaning, the research and the researchers will need to be funded to conclude their current studies, in addition to refining and improving their work. While no detection test for any malady can guarantee 100% accuracy, there is no reason to believe a cancer screening test could not be close to it. Ideally, equal amounts of money, time and effort could be used for treatment development and early detection test development, but it is realistically implausible. Cancer cells are known to replicate out of control without stopping and will, most likely, go undetected until the patient exhibits symptoms. There needs to be a test to identify these cells before they cause harm, before they create a physical manifestation that will lead to costly, unpleasant, and oftentimes painful treatments to eradicate them. Funding efforts and public perception need to be shifted away from finding a cure to the more feasible prospect of detecting cancer earlier and stopping it from developing into a life-changing beast.